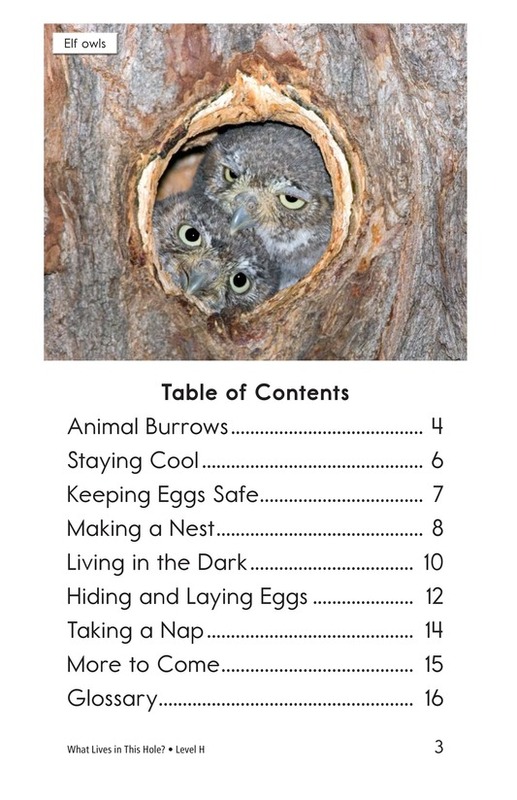 > Books > Leveled Books > Level H > What Lives in This Hole? 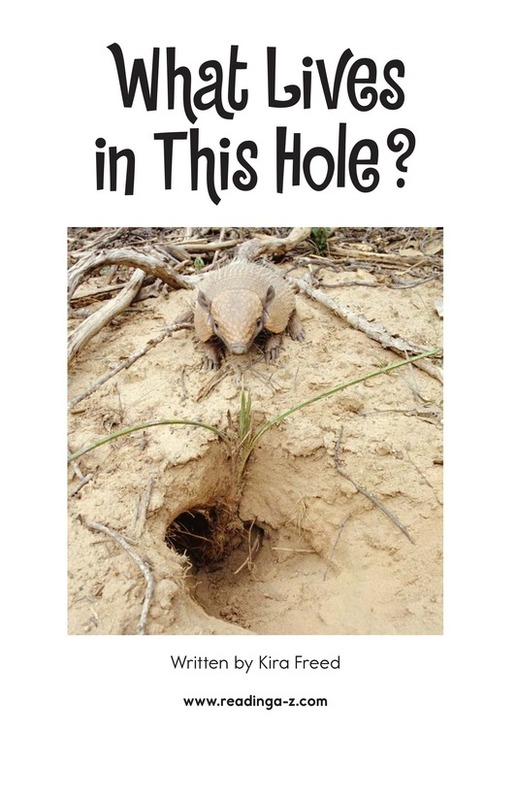 From the deserts of Arizona to the streams and rivers of Japan, people have wondered What Lives in This Hole? 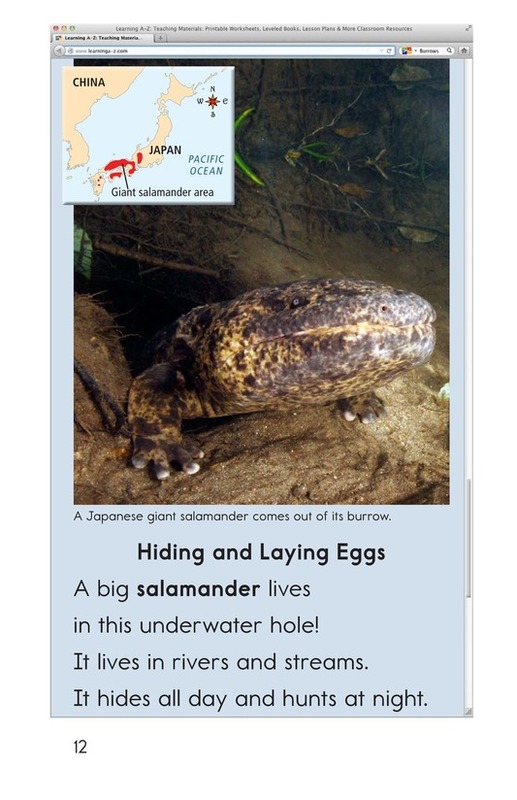 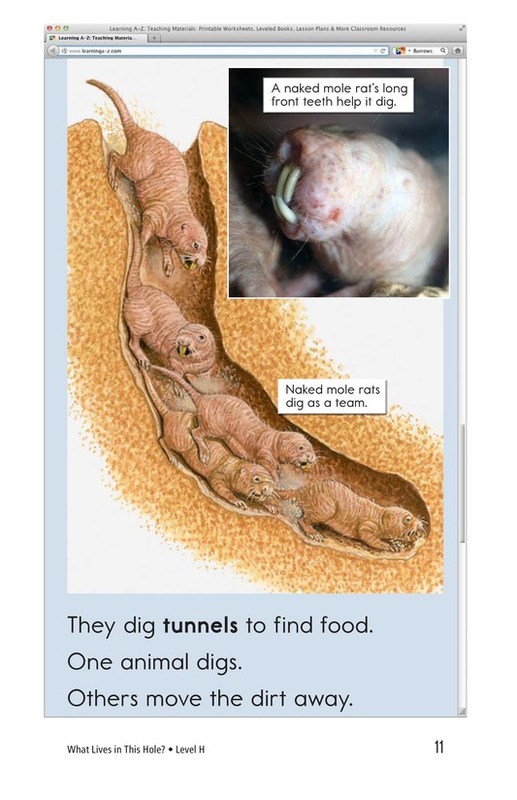 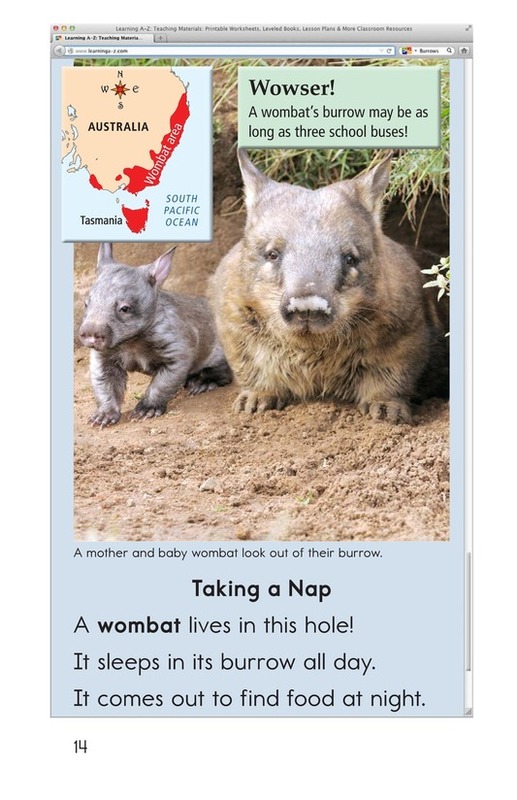 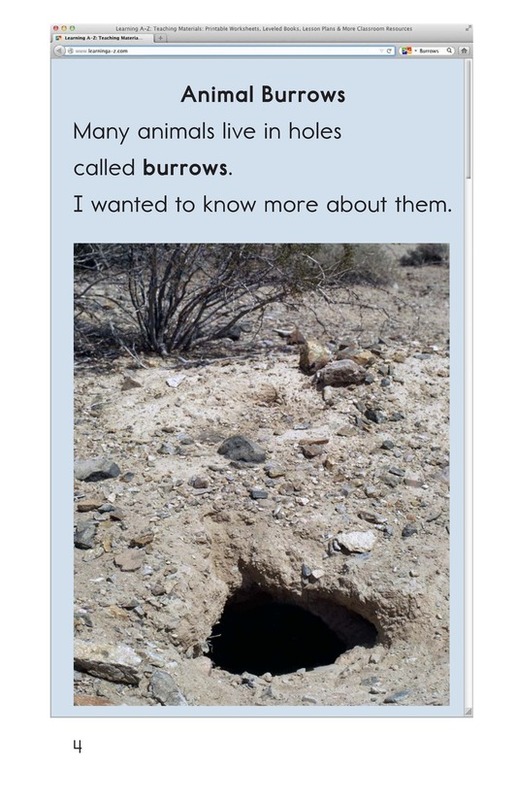 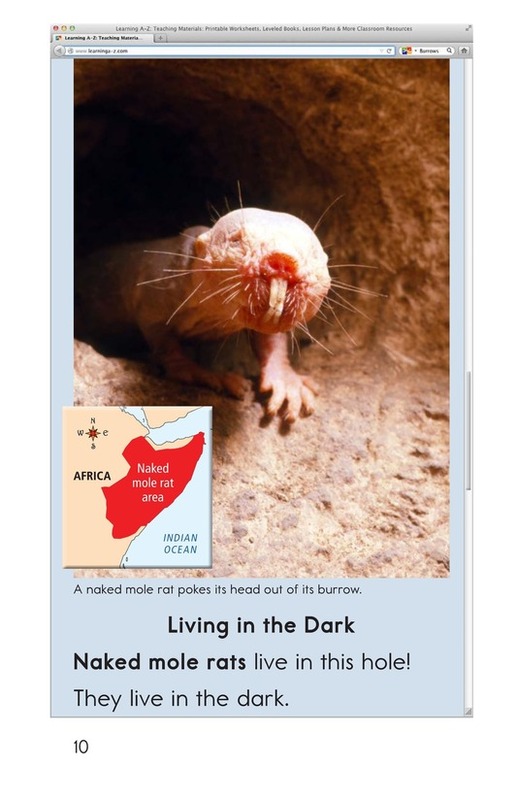 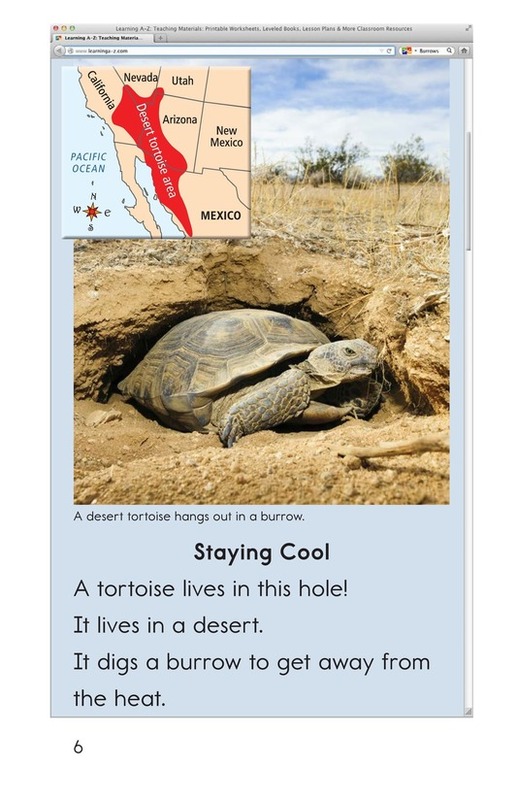 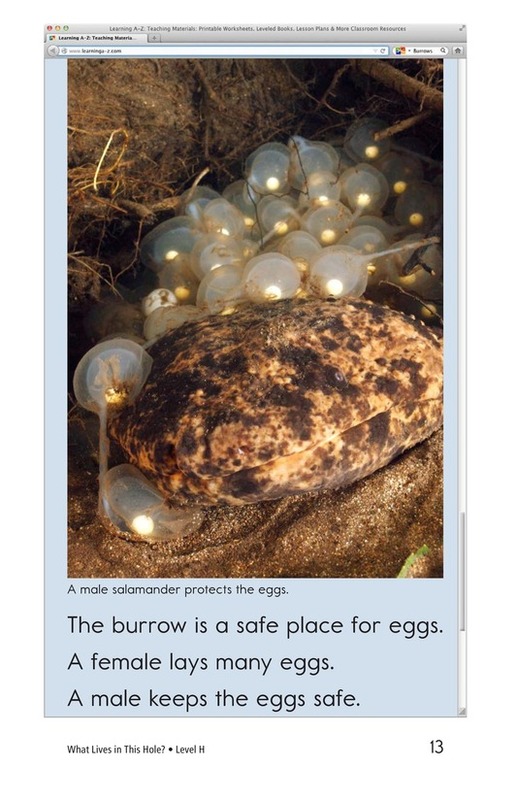 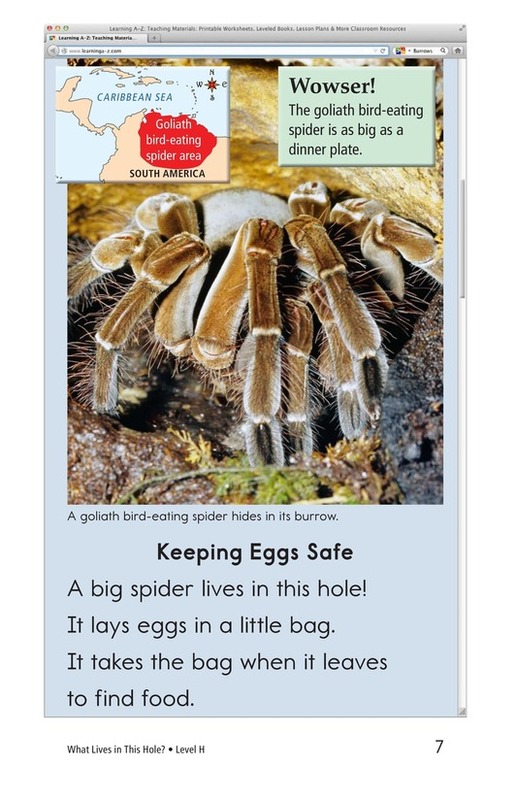 Join the student author as he writes a class blog about burrowing animals from all over the world. 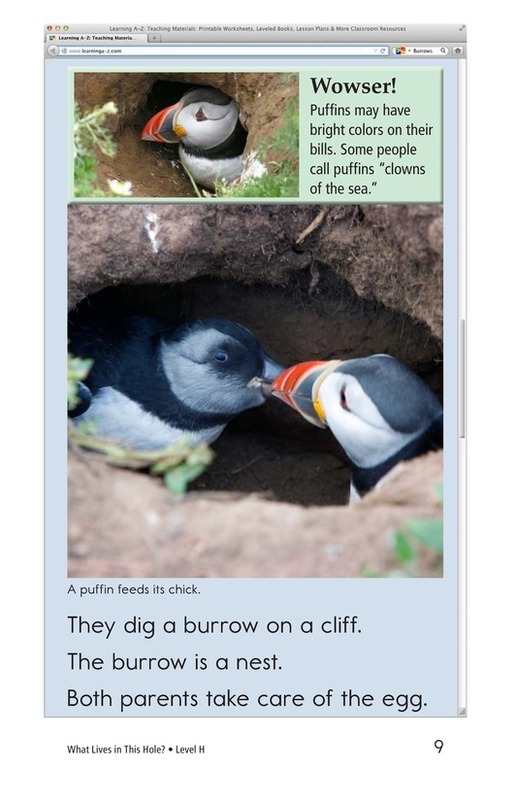 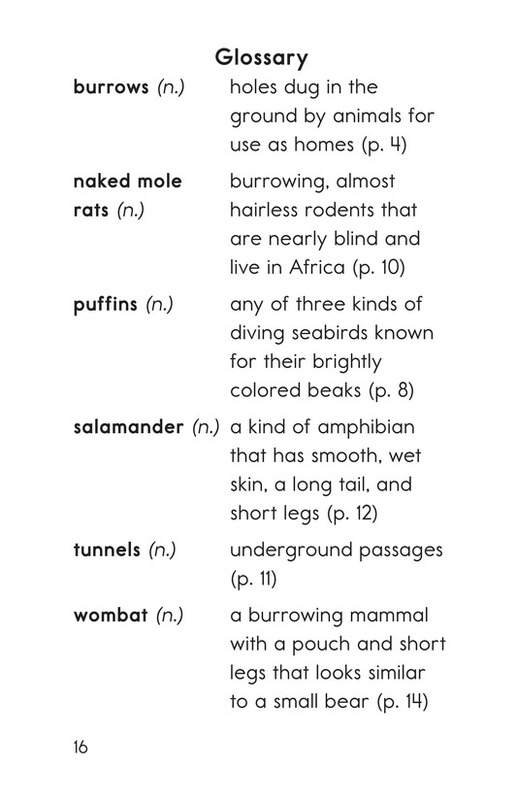 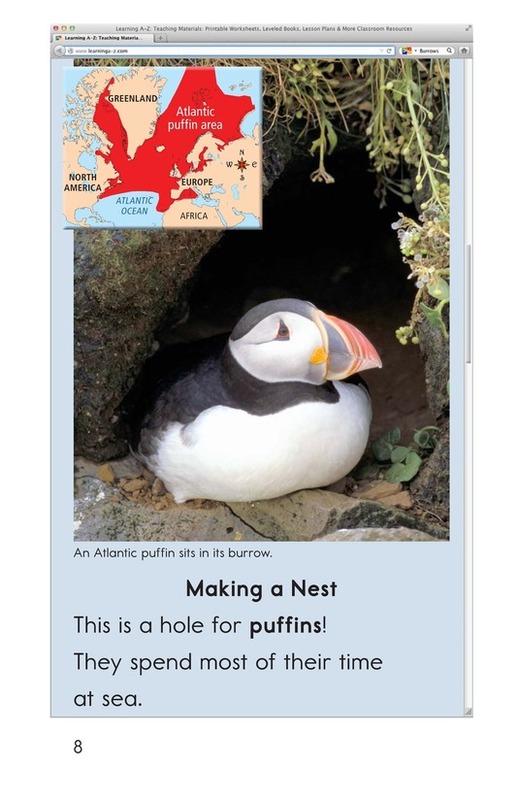 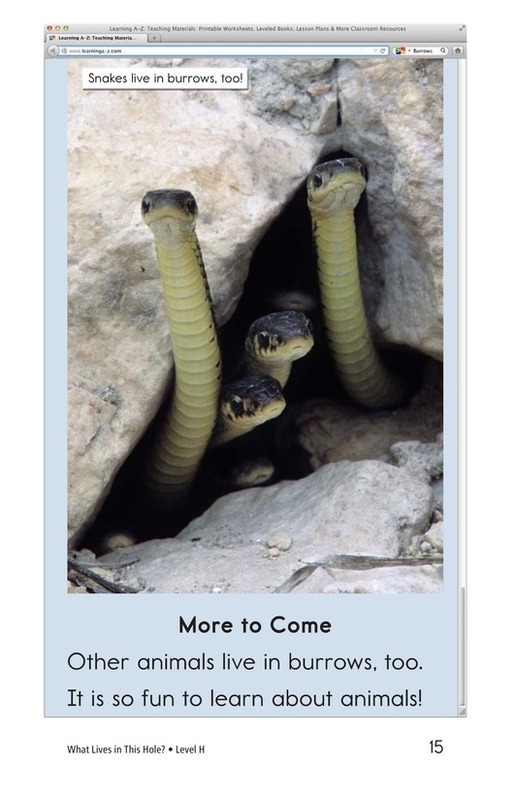 Interesting photos and detailed maps give readers the opportunity to learn about animals they many never see above the ground. 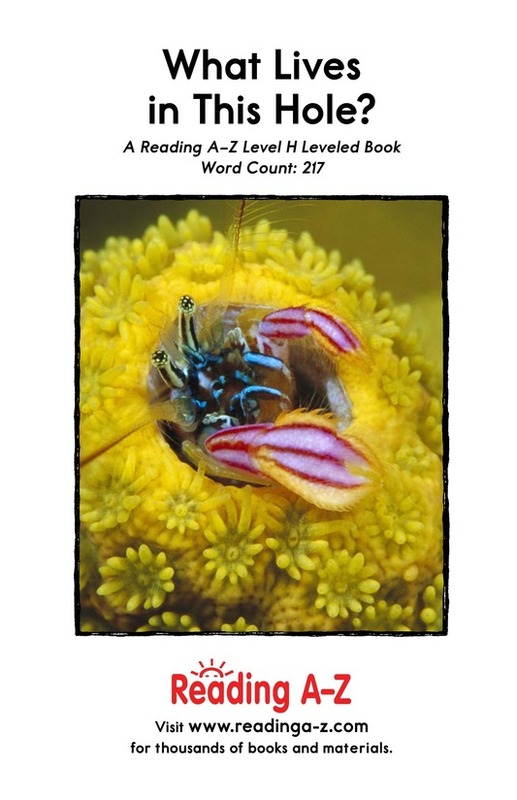 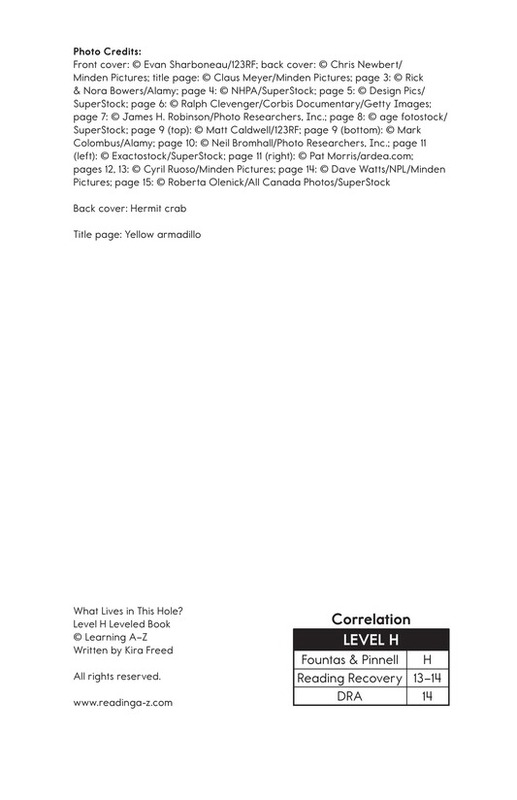 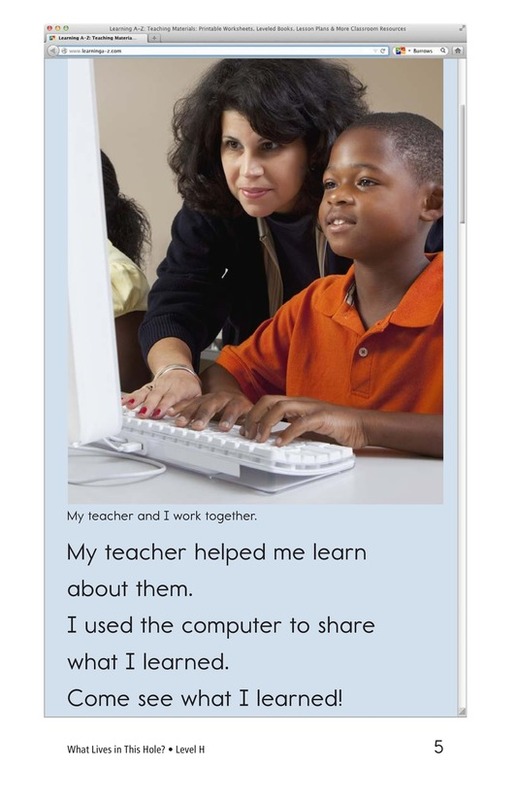 The book and lesson are also available at Levels K and N.